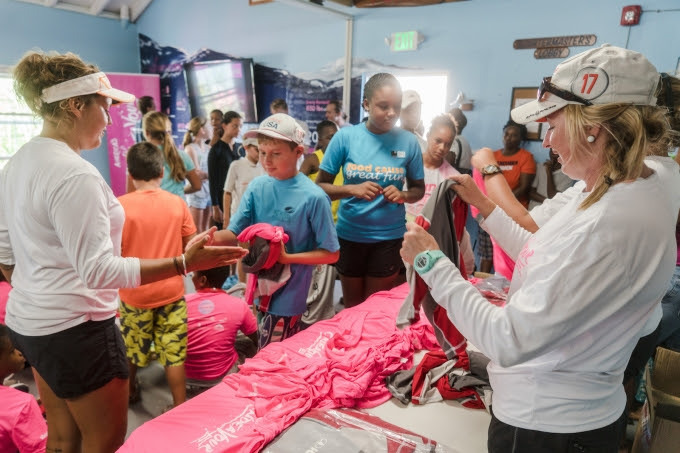 AC Endeavour, the America’s Cup youth sailing program, held a special “Sailorbration” event on Saturday [August 27] in Bermuda with the first season of AC Endeavour students graduating from the program. The celebration on Saturday provided the ‘AC Endeavour Graduates’ a chance to share with their families what they’ve learned and show the incredible progress they have made since the program started in October 2015. A spokesperson said, “The Class of August 2016 comprises a diverse mix of students ages 9 through 12 years old from across all backgrounds in Bermuda who have come together through the AC Endeavour Program. 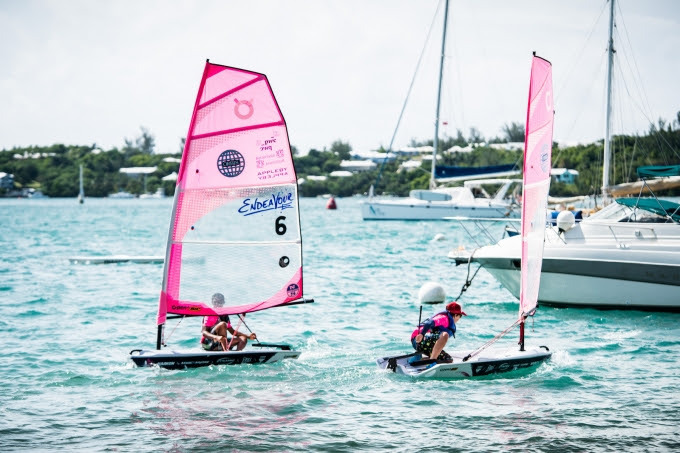 “They began their journey with the AC Endeavour After-School Program for 9 and 10 year olds and the AC Endeavour week-long program, which all M1 students [11 and 12 year olds] in Bermuda participate in as part of their school curriculum. “Throughout their participation students are assessed on their STEAM and educational interaction, on-water skills, attitude and behaviour in order to progress with future program offerings. “Nearly 200 students were offered a scholarship to further their skills during a 2-week summer program free of charge through the generous support of presenting sponsor Orbis and corporate partners Butterfield Bank, PwC, Hamilton Insurance Group, Appleby, BF&M, XL Catlin and Hamilton Princess and marine partners Blo’Kart, RS Feva, Hobie, North Sails, O’Pen Bic, Dynamic Dollies, Harken, Magic Marine, VSR and Versadock. “On Saturday, refreshments were enjoyed courtesy of Somers Supermart in St. George’s. Harken and Triangle Rigging donated some sailing essentials for the kids and ensured they arrived on time. Leah Collis, AC Endeavour’s East Coordinator explained more about the event, saying “Part of the reason for this ‘Sailorbration’ is to demonstrate the growth and development of students. “Quite often, parents might not be aware of all the core skills that their kids are learning and we want to make sure that, in addition to all the positive elements of the AC Endeavour program, we’re also helping to grow the relationships between the instructors, our students and their parents. The spokesperson said, “The main goals of AC Endeavour are: to enhance youth engagement through experiential learning, inspire future STEAM career pathways, increase integration between youth of different backgrounds and provide legacy opportunity for Bermuda’s youth to learn sophisticated sailing skills. Thank you so much for this opportunity. My daughter really enjoyed attending. Such a wonderful experience.